With some 450,000 “commercial” users and a license base of 2.2 million (including near-zero cost educational licenses) Dassault Systèmes' SOLIDWORKS is by far the biggest player in the mainstream mechanical 3D CAD market. Overall, the software represents one-third of the global commercial mechanical 3D CAD segment. The company can look back on a sensational 2016. 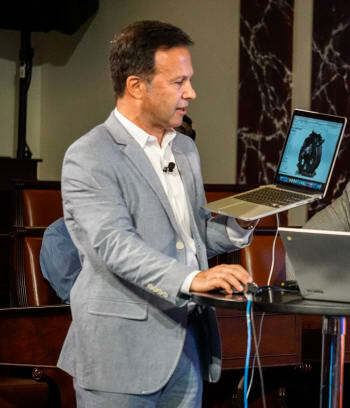 In what most analysts regard as a mature market, SOLIDWORKS’ CEO Gian Paolo Bassi has delivered great results over the past three years. Last year revenue went up by 13 percent to reach 626 million Euros, or almost $710 million. According to Griffin Securities’ senior analyst Jay Vleeschouwer, this result reflects high growth in maintenance revenue plus 60,000 new licenses. Everything looks great financially for the SOLIDWORKS chief. In addition, the company's technologies are generally holding their own against mainstream competitors. There is still one big issue casting a shadow on Bassi's leadership: the challenge of getting the SOLIDWORKS user community to adopt the tools and platforms that modern forms of product development require. 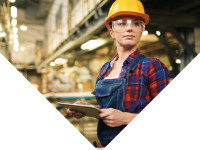 As products become more complex with sensors, electronics and advanced software, mechanical and electrical CAD is no longer enough. The IoT, digital twin concepts, augmented and virtual reality, 3D printing and distributed manufacturing all bring new needs to the table. A broader platform will become a necessity for most design teams, whether or not they realize that today. “Bingo! Yes. In fact, this is our fundamental strategy as a part of Dassault Systèmes. And the centerpiece of that strategy is the 3DEXPERIENCE platform,” said Bassi in today’s PLM TV News report. But how ready is the SOLIDWORKS community to adopt this platform? So far, uptake has been limited. But Bassi hasn’t given up — on the contrary, he believes that the arguments for investing in the 3DEXPERIENCE PLATFORM (“3DX”) are so strong that over time, no user can afford to abstain from connecting to this platform. Will Bassi succeed in winning over SOLIDWORKS users? Get ready to meet a PLM leader who listens curiously to both customers and employees, and who has been instrumental in creating a new growth boom for SOLIDWORKS. Getting the SOLIDWORKS community to start using the bridges they have created to 3DX is easier said than done. Although SOLIDWORKS users are probably the CAD industry’s most loyal group, their attitude towards Dassault Systèmes' president and CEO Bernard Charles, and his proposals, is still quite skeptical. As a result, the adoption rate of these "bridges" to Dassault Systèmes’ 3DX platform, such as Conceptual Design, Industrial Design and X Design, has been sluggish. Having said this, the SOLIDWORKS user community is a benchmark in the industry. It’s fueled by common enthusiasm for the tools and an openness to share both positives and negatives, and to help each other. “Moves to try and limit the ‘community’ to a Dassault-managed platform approach might be a concern, and that’s not necessarily the ‘modern’ way. Today’s ecosystems are significantly biased to openness, and their primary competition acknowledges that open communities, the likes of Github etc., have a large part to play when considering next steps in product design ecosystems,” Behrens added. Indeed, this could be a limiting factor. On one hand, SOLIDWORKS users are extremely enthusiastic about their classic CAD tools as well as the simulation, PDM and MBD tools. Also, today's SOLIDWORKS ecosystem has a very wide range of apps with additional capabilities. On the other hand, that ecosystem could be enough, leaving Charles's message insufficient to drive rapid change in a community with both feet firmly planted on the shop floor. A NAVIGATION TOOL. 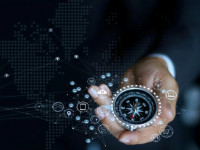 The Compass is the centerpiece of the 3DEXPERIENCE platform. It is used to navigate to the different apps and functionalities you need that are located on the platform. SOLIDWORKS is one of the apps; other well-known apps are the PDM backbone ENOVIA and the CAD software CATIA. What is the 3DEXPERIENCE Platform? 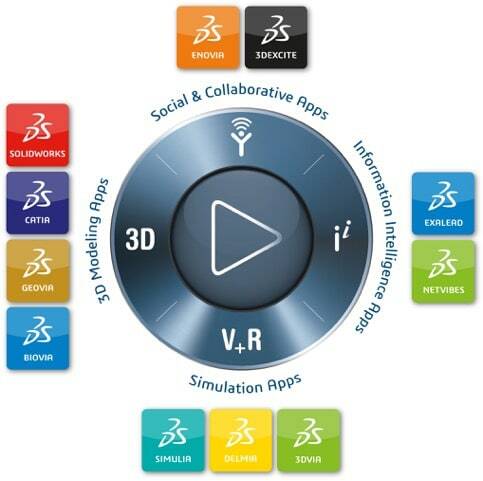 What is Dassault Systèmes’ 3DEXPERIENCE platform? What are the main tools that connect it to SOLIDWORKS? And why are Bassi and Bernard Charles so eager to get the community’s users on board? 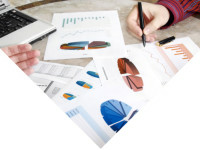 Charles generally refers to 3DEXPERIENCE as the “beyond PLM platform,” however I would characterize it more as a broad platform covering the major parts of what analysts such as CIMdata and Gartner define as existing product lifecycle management tools. 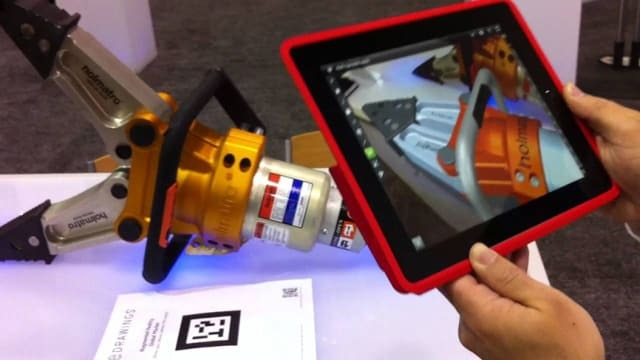 These tools include SOLIDWORKS as one of the apps. However, the most well-known apps are the PDM backbone ENOVIA, the CAD software CATIA, SIMULIA for advanced simulation, the visualization tool 3DVIA and NETVIBES, which gathers information from social media. 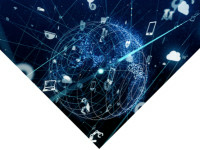 Generally, you will also find tools for IoT, Big Data analysis and cloud solutions, which makes constant connectivity and social media available and integrated. Conceptual Design and Industrial Design, which are solutions to develop, review, and select mechanical and stylized concepts before committing to detailed design and manufacturing. Xdesign and Xdrive. 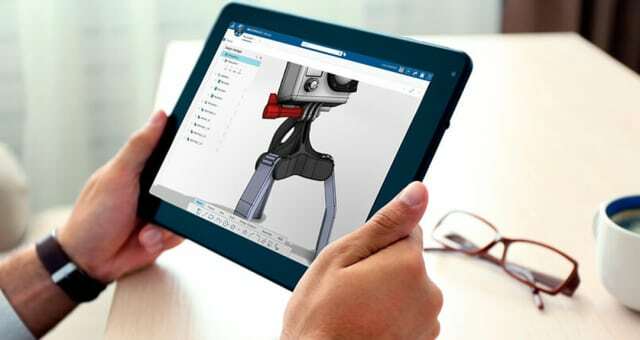 SOLIDWORKS Xdesign is a browser based, platform-independent application that includes modeling, design guidance, model based definition (MDB), and collaboration tools. Xdrive is the first component of Xdesign’s file management system, and is meant to be a bridge between desktop SOLIDWORKS and Xdesign. BRIDGES TO THE 3DEXPERIENCE PLATFORM. “I didn’t like the Conceptual Design and Industrial Design that much,” said Chicago SOLIDWORKS User Group leader, Denny Bahl. On the other hand, he appreciates the Xdesign solution, which DS SOLIDWORKS launched recently. 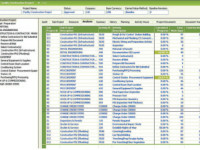 “Xdesign created a lot of buzz in the community when it was presented last year,” he said in today’s PLM TV News report. For a few years now I have discussed these issues with the leader of SOLIDWORKS´ Chicago User Group, Innovative Plastics’ Denny Bahl. Generally, Bahl’s views include a certain restrained skepticism toward 3DX, although he is fully aware that the need is growing, and that sooner or later the community is going to adopt the kind of social and cloud-based tools that the platform offers. So far, Bahl isn’t so impressed with the first two “bridges” offered by SOLIDWORKS, Conceptual Design and Industrial Design. However, his “resistance” is lessening. Does 3DX have a future? For the moment, however, the number one priority is for SOLIDWORKS to remain a robust mechanical 3D CAD solution with ever-better performance. “Yes, the main two concerns of the community are still better performance and stability; a good quality software that doesn’t crash. As long as they keep concentrating on that, they will have customers for life,” Bahl said. Some 20-plus years after its debut, SOLIDWORKS may have the most loyal customers in the world. However, those who worked with it have done so for more than two decades. Changing tools and the way you work is hard, and breaking these learned patterns is a tough task. A CAUTIOUS STRATEGY. Gian Paolo Bassi kept all doors open. A perpetual business model paired with maintenance? No problem. A rental model? Of course, we can provide a subscription for you. Cloud based SOLIDWORKS solutions – right, we’ve got it. This has turned out to be a great policy. Cautious? Yes, but in the longer run it’s beneficial for the customers and profitable for Dassault Systèmes. Gian Paolo Bassi is respectful, however, and does his job with an elegantly formulated understanding of the SOLIDWORKS user’s attitude. Bassi's reasoning is sound, but in the same breath he points out that, “We are careful and retain our old license model, while offering the opportunity to rent in the cloud to those who want it. We have seen how the cloud model can be taken unilaterally,” he said in a reference to Autodesk, which is in the midst of a shaky transition to the cloud subscription model. But Bassi listened to the SOLIDWORKS community and acted accordingly. In a sense, he kept all doors open: Need a perpetual business model paired with maintenance? No problem. A rental model? Of course, we can provide a subscription for you. Cloud based SOLIDWORKS solutions? Right, we’ve got it. Overall, this has turned out to be a great policy. Cautious? Yes, but in the longer run it’s beneficial for the customers and profitable for Dassault Systèmes. The issue, however, is when will the community start to move over to 3DX capabilities to a greater extent? “The manufacturing world is very conservative and what we provide right now with SOLIDWORKS is mission critical. This means that you don’t throw brand new platform technology at them and expect things to happen immediately. 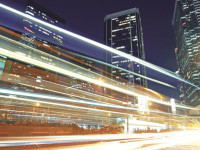 This is also related to the idea that ‘going platform’ implies business transformation. If you give a platform to a business that uses old workflows, a new technology doesn’t make any sense,” the SOLIDWORKS leader commented. LOVE THEIR SOLUTION. One of the extraordinary characteristics of the SOLIDWORKS user community is that they love their solution — as long as Dassault Systèmes’ SOLIDWORKS isn’t pushing them too fast in the direction of 3DEXPERIENCE. So, it’s not an unconditional love. What Will Happen with the Business Model Tomorrow? Many of SOLIDWORKS’ competitors are moving to subscription licensing models while SOLIDWORKS acts a bit more conservatively. There can be problems that occur when companies change models, specifically in terms of lower revenues. Companies such as PTC and Autodesk have both experienced revenue dips when swapping models. SOLIDWORKS has been cautious in this respect, realizing that a number of customers want to preserve the on-premise and perpetual based license models, at least as it looks today. Business is stronger than ever, in fact. But what will happen tomorrow? So, what about the rental model? He added that while many people have taken advantage of the rental model, it has not cannibalized SOLIDWORKS’ perpetual model. 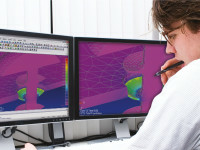 This is proved by the fact that SOLIDWORKS this year broke its revenue record on new seats sold on the perpetual model. AN IoT BELIEVER. 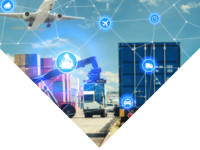 SOLIDWORKS’ Kishore Boyalakuntla believes in IoT and that SOLIDWORKS can play a leading role when companies are shifting from designing traditional “un-connected” products to “connected” products. In addition to that, Bassi points to Dassault Systèmes’ acquisition of a company called CST. They are specialists in electromagnetic field simulation, which is extremely important to precisely design connected objects. What about AR and VR, or as we say nowadays, Mixed Reality (MR)? PLUG & PLAY. “Our philosophy when it comes to virtual reality is very simple; plug & play. We are working to achieve this with companies that you can see in this area right now, whether it is Hololens or Meta or any other of the existing players,” said Bassi. But he appreciates augmented reality more: “Augmented is more interesting, more human, and better than creating a world with very few real physical connections to the real world,” he asserted. Bassi noted that SOLIDWORKS sees an acceleration in the adoption of these devices because among other things, the cost is going dramatically down. The era of expensive virtual reality caves is gone, and everything has become portable. “I also see, especially for marketing, these new devices like Meta or Hololens will allow people to keep eye contact. You’re not in a different world, but in the same world, just augmented,” he added. “SOLIDWORKS is ready, as is the community,” said Bassi. 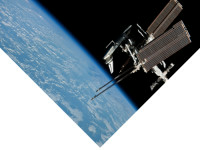 They’re on the threshold of entering the new platform-based product realization world - the only question is when. Bassi asserted that the discussions with the SOLIDWORKS community about the future have started. “This is a good first step, but after 20-plus years of mechanical and electrical desktop-based 3D CAD, conservatism is prolonging the period of change,” claimed analyst Peter Bilello in today’s TV report. LISTENING TO CUSTOMER DEMANDS. The Xdesign product proves that if you listen to what the customers want, sooner or later you will come up with attractive solutions that will inspire the uptake of new technological platforms. The Conceptual and Industrial Design product didn’t live up to what the customers wanted, whereas Xdesign is an example of the opposite. Other issues that contribute to the length of the transition period are of a more technical nature. Compatibility is one of these factors, and the Xdesign bridge to the 3DX platform is an example of this. This functionally very promising solution has the flaw that it is built on the 3DEXPERIENCE’s CGM kernel technology. Since SOLIDWORKS uses Siemens PLM’s Parasolid kernel, data must be translated to run effectively on 3DX. This need not necessarily be a big problem; however, the creation of translation algorithms takes time to develop. And even if it is a “best in class” translation tool, it will still take years to have it in place. Once again, the issue is related to time. A MORE ATTRACTIVE STATEMENT. When Bassi, during last year’s SOLIDWORKS World used the term “SOLIDWORKS Innovation platform” rather than the “3DEXPERIENCE platform,” he made a more psychologically attractive statement around the future. In summary, all these problems are possible to solve, and my qualified guess is that Gian Paolo Bassi is the right person to do it, in combination with Dassault Systèmes’ extensive resources and SOLIDWORKS ecosystem. 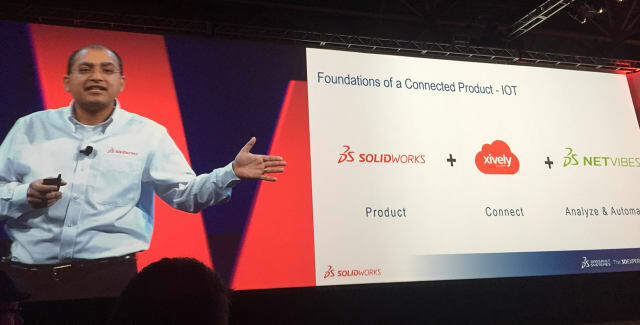 My take is that when Bassi used the term “SOLIDWORKS Innovation platform” rather than “3DEXPERIENCE platform” during last year’s SOLIDWORKS World, he made a more psychologically attractive statement about the future. 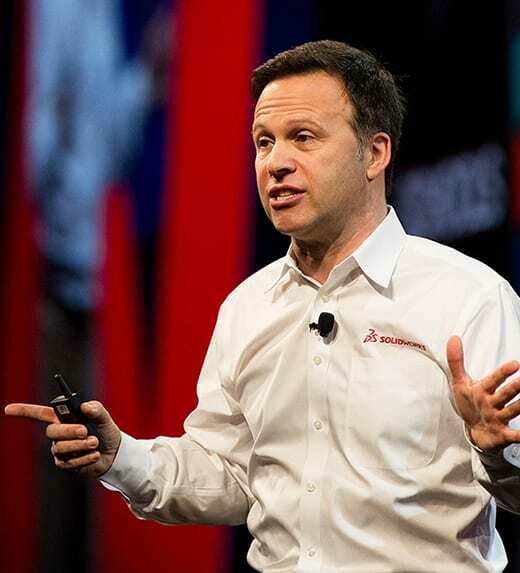 Generally, SOLIDWORKS’ next-generation strategy is still somewhat in the making as they wrestle with the fact that the installed base isn’t yet particularly keen to move to new Cloud solutions from local code. Added to this, a change to Cloud-based pricing models and reseller and direct sales compensation structures might be somewhat challenging. Finally, the good news for Gian Paolo Bassi is that he’s not alone. A lot of the responsibility falls on the full SOLIDWORKS’ organization, resellers included, and how they can spread the message to the world’s largest CAD community. They are the true believers; just listen to what Kishore Boyalakuntla has to say in today’s PLM TV News. White Paper: What Are the Challenges of Servitization for 2018 and Beyond?